Coincidentally, two guys Luke works with had gone to Croatia a month before we did. They gave us some tips and pointers for our trip. 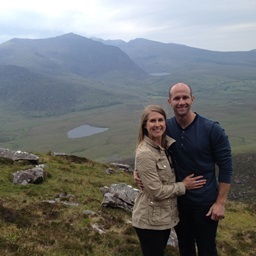 We were pleasantly surprised with the little town, and really enjoyed ourselves as we had heard some mixed reviews. We both easily agreed we could have spent a week in this little place, mostly to use it as a base for exploring other areas, but we just enjoyed the town itself. We arrived on Wednesday, but immediately hopped on the catamaran for our cruise so we did not get a chance to really do anything. After our boat ride, we still didn't get to do much because it was late, and we were hungry. We went back to our hotel to change and found dinner at FIFE which ended up being amazing and so cheap! For about 158HRK ($23), we stuffed ourselves with way too much food and drinks. This place was like eating in America - way too much food, good service, and inexpensive. After dinner, we were so tired from an early morning and a long day, so we went back to the hotel for the night. On Thursday, we woke up ready for our only full day in Split! We took major advantage of it and did everything we could. 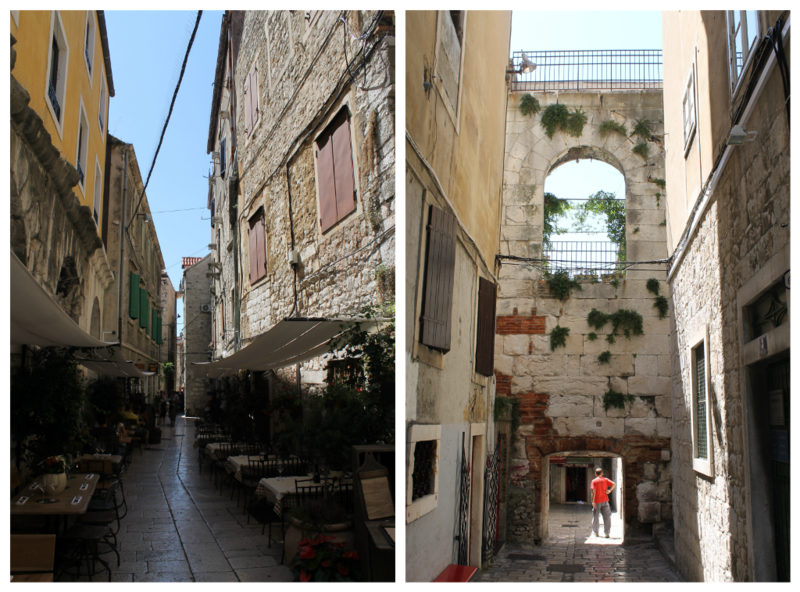 We headed first for Diocletian's Palace which was basically an old town surrounded by walls. It was fun to wander in the narrow pedestrian streets and get lost. The Roman palace became a UNESCO World Heritage Site in 1979. The palace is not very big, so it was easy to hit the edge of the wall and wander outside the walls for a bit. We decided to head on up the main tower to get some views of the city. It was a good climb up, but there was a nice breeze at the top. I almost had a heart attack though when a guy decided to stand outside of the little windows... I couldn't look, it freaked me out too much! Making our way back down, we headed to Marjan Hill. We had seen a flag pole while up in the tower, so that was our goal. We had some wonderful views along the way, but we realized that the flag pole was way too far away so we gave up on that idea. We took the walk down the back side of the hill along a street and got views on both sides which was nice. After eating, we headed for the beach. But it was so crowded, we just took a walk along the water, got too many glimpses of people wearing not enough clothes, and sat along the water front for a few drinks. After drinks, we needed to clean up from the heat that was beaming down on us all day, so we got a few road beers and went back to the hotel for a few minutes. And hunger struck us again, so we did a first for our travels and returned to FIFE. I always hear of people who go back to the same restaurant while traveling and I never understood why, but this one made complete sense! Funny story: We sat at a picnic table with an old Italian couple and Luke was so thrilled to use his limited Italian on them. I have never seen him so proud of himself :-) After dinner, we wandered around a little bit more in the Palace stopping off for a few more drinks before heading back for the night. Friday was our big day visiting the Krka National Park. Since we were able to take a little nap on the way back, we had a bit of energy for the evening. We got back around 5:30pm, cleaned up, then headed out for one last night of Split wandering. We had dinner just inside the Palace at Mazzgoon which was really good but more than twice as expensive as FIFE (but let's be honest here, it was still only half the price of a normal meal Britain). We found some bars outside of the palace, and just enjoyed out last evening. 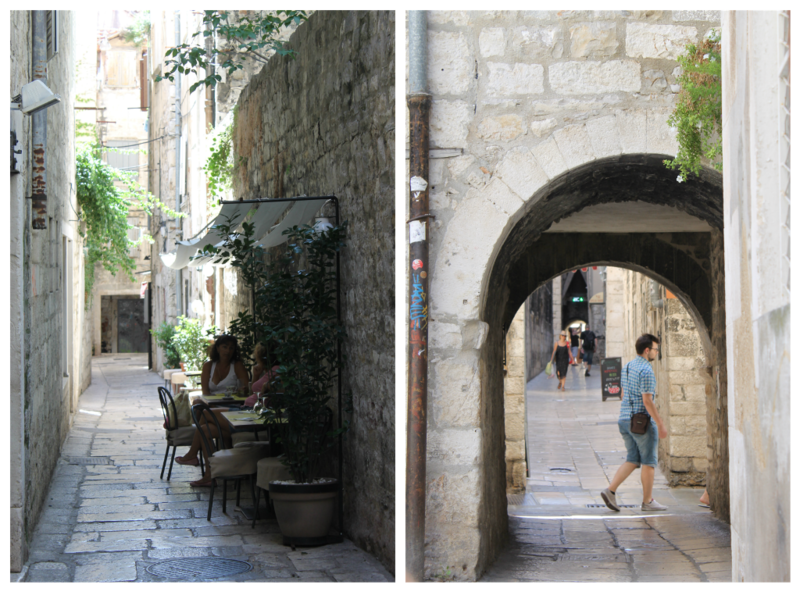 On Saturday morning, we headed to the bus station to get on our 11:45am bus to Dubrovnik. Although we did not get to do everything we wanted while in Split, we had a wonderful time, and are highly considering going back this year. Croatia has easily become one of our favorite countries! During our visit, a pint of beer averaged around $2.